The original inhabitants of the Indian subcontinent who descent from the “out of Africa” migration separated very quickly, ~50,000 years ago, from other eastern populations (East Asians, Andaman Islanders, Papuans, etc.). These are the “Ancient Ancestral South Indians” (AASI). 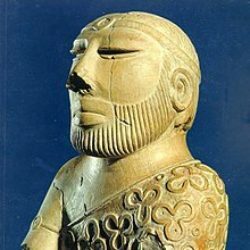 Agriculturalists from what is today Iran seem to have entered and mixed with the AASI in the Indus Valley earlier than 5,000 years ago, and possibly as early as 9,000 years ago. The only samples they have are from extra-Indian sites, in Central Asia and eastern Iran, as outlier individuals. They call these “Indus_Periphery” (I call then InPe). The “Ancestral South Indians” (ASI) were created from a mixing of InPe with AASI still extant in much of South Asia ~4,000 years ago. Between ~4,000 and ~3,200 years ago populations from the steppe arrive, carrying admixture from Iranian farmers, as well as people from the steppe (Andronovo-Sintashta?). They mix with the ASI population, though a few groups, such as the Kalash, mix directly with InPe, and create unmixed “Ancestral North Indian” (ANI). Subsequent mixing between ASI and ANI populations in various fractions accounts for most of the variation in South Asia. Some groups are enriched for “steppe” as opposed to the Iranian agriculturalist that first came with InPe. In particular, Brahmins. The hypothesis then is differential ancestry of Indo-Aryan heritage persists to this day. The Munda of northeast India have a somewhat different origin, mixing Southeast Asian ancestry with ASI and further AASI. The fact that unmixed AASI were present in South Asia indicates that the Munda arrived before the full mixture was complete. Though Austro-Asiatic expansion into northern Vietnam dates to ~4,000 BC, so I think it can’t be that early. Indo-Aryan interpenetration with non-Indo-Aryans in the IVC before 4,000 years ago (I was somewhat agnostic on this). The date for migration now seem very close to the “Classical Model” of arrival around 1500 BC. The AASI is very diverged from the Onge, who form a clade with mainland Southeast Asian Negritos. I now think it is likely that the AASI were primal, and not migrants from Southeast Asia. 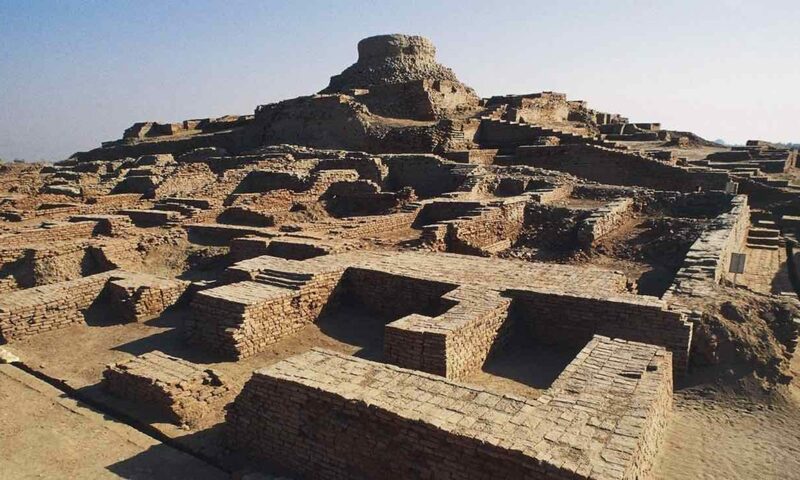 It would be nice if the results were published from the Rakhigarhi site, which dates to 4,600 years ago. But it seems less and less necessary. Perhaps at some point we’ll get enough samples from Pakistan to generate a reasonable model…. 1. Does this paper say anything about whether the IVC people (or even Indus periphery InPe people) are the same people who later spoke early Dravidian languages like Tamil in South India? Of course, in the latter class of people I don’t include the later (~1000ce) migrations from Northern India which post-dates classical Tamil). 2. Holding that AASI + Iranian farmers = InPe, and that InPe + AASI = ASI, are the people speaking early Dravidian languages then not the IVC people, but ASI? Or does the paper say nothing about that? 3. If Steppe + Iranian farmers + ASI = unmixed ANI, does it not say then that ANI and ASI are not linearly independent principal components? Is it better to stop speaking or ANI and ASI now? 4. Speculative question- Is rice farming in northeast india associated with the munda movement? If so, did they bring rice farming to south India as well, or did ANI bearers learn from munda and bring rice farming south? What do you make of the finding that only some Brahmin groups have a greater-than-expected enrichment of steppe ancestry (vs InPe), while other Brahmin groups don’t. Indeed, some Brahmin groups have less-than-expected steppe ancestry (and a greater-than-expected InPe fraction), if I am properly interpreting the Z score in the data supplements. I assume that this heterogeneity among Brahmin groups reflects heterogeneity in the formation of such groups over time (and/or across space) during the spread of the IA into the subcontinent. 1) Are AASI the original Sanskrit Surya Vamsha Aryans who lived across South East Asia? Rama would then be from this group. It is possible that Java, Sumatra, Malaysia, Singapore are among the islands Arjuna traveled to in the Mahabharata. Some of these Islands were described as giant with 5 nations located in them. 1b) What are Tibetans genetically? 1c) Could the AASI have created multiple language families including Sanskrit and Tamil? This would explain the large Sanskrit influence over the Indonesian, Malaysian, Thai, Khmer, Lao, (until recently Khmer and Loa were the languages of Vietnam), Burmese, Tibetic. 2) Are InPe descendants of Pururavas? This would imply that the Yadavas and Kauravas (Pandavas were technically part of the Kauravas) were the descendants of InPe. InPe would then be the Chandra Vamsha. 3) Are ANI immigrants? This is possible since Iran at that time was considered a sister civilization with similar languages and civilization. Many modern Indologists speculate that before Zarathustra Iranians might have worshiped the Daityas and Danavas mentioned in Bharatiya texts. If the ANI are immigrants (they seem to have been respected and welcomed into the Varna system)–why did they leave Iran or the areas north of Iran? They might have already had a Varna system in Iran or north of Iran if they in fact did worship Daityas and Danavas (the children of sage Kashyapa through Diti and Danu). Note that Kashyapa, Diti, Danu, Daityas, Danavas are not humans. 4) Who are Kalayavana and his millions of Yavanas who fought Krishna? Vivekananda said they were Turks. Others have speculated that they were Greeks. How do they fit in genetically if at all? They might not fit in since they are described as returning to the far, far west. No one before 1840 speculated on anything remotely similar to the “Aryan invasion”. If there were invasions, wouldn’t they have been recorded in local histories? There are mentions of many wars between Aryans–some of whom lived very far away from each other. Perhaps these invasions are intra Aryan conflicts. they don’t take a position on this. i lean toward the proposition that dravidian came from the NW with InPe. i would think about sunsetting these terms. i don’t know about the spread of rice, the model i thought was it was introduced from the east. though i guess some evidence of rice in IVC? yeah. the statistic just lacked power. as i said in my blog post, south indian brahmins are best thought of as a combination of north indian brahmins and non-dalit south indians (reddys or nadar or something). the non-dalit south indians are enriched for iranian, so the steppe skew would be diluted. don’t know about the religious stuff at all. but what i will say is that southeast asian negritos form . a clade with andaman islanders, NOT AASI. the andaman islanders in fact probably arrived from SE asia in the late pleistocene when they were connected to burma. related questions. tibetans are east asian almost totally. one part of their ancestry seems very close to han chinese (>10,000 years ago diverged). the other part of their ancestry seems to be an older east asian component, but still definitely east asian. that influence is almost certainly historical. there is good evidence for indian gene flow, ANI+ASI, into SE asia. AASI did not speak indo-european. they may not have spoken tamil. if they were HG they probably spoke many different languages. no european group records their migrations either. but we know they happened. we have ancient DNA transects. so no obviously they wouldn’t be recorded. they haven’t been mostly. Can you please try to answer some questions. I would be very gratefull to you. Who are the Ancestors of Modern Hindu Jats and Hindu Rajputs of North India as well as Hindu Gujjars, some Ahirs etc? Are these two groups not better in facial feature than Brahmins whom everyone is referring as Aryan result? Because it seems clearly if one looks it, please comment on this? What is the role of Scythian/Huna migrations from 2nd century BC to 5th century AD in North Indian genetics? And how are scholars differentiating between Scythian and supposed Aryan genetics make in North Indians? Does it not make it difficult for them? I am a little late to comment here but let me just put forward my views nevertheless. The paper does not prove any steppe migration. The paper assumes that the Indus Periphery people (InPe of Razib) were similar to the IVC people. But there is a big problem with that assumption. The InPe are a group with only 3 samples – yes only THREE. Keep this mind and then remember how big and vast IVC was. The InPe have not been recovered from a single IVC site. Yes you read that right. 2 of them were recovered from Shahr I Sokhta in Eastern Iran and 1 from Gonur Depe in SE Turkmenistan. Both of these sites were ofcourse in close contact with IVC. Also, all the 3 samples do not date to a single time period. Besides being so geographically spread out – Shahr I Sokhta and Gonur are hundreds of miles apart – these samples are also separated by hundreds of years. Lastly, the AASI percentages in the 3 samples also vary wildly – from 42 % in 1 sample to 14 % & 18% in the other two. So how could these miniscule no of 3 samples from IVC migrants into 2 different civilizations and from hundreds of years apart with very wildly varying ancestry components be assumed to be an accurate standby for the IVC people ? Another very crucial point is this – the InPe samples already had a steppe related component in their ancestry. Yes that’s right. It is called the West Siberian HG component because this closely related ancestry component is closer to that ancient sample from West Siberia. But this does not mean there was a migration from Siberia into South Asia. It only means there is a shared common ancestry. How far back did they separate and from where – we do not know. This is what the paper does – it takes the InPe as IVC representatives and then argue that they are the ancestral population of North/NW South Asia. Taking this huge assumption – they then argue that more recent South Asians such as the ones from Swat have more steppe ancestry and that it is shared with the 2nd millennium BC steppe groups. But Swat is on the northern edge of South Asia. It is natural that it will have more steppe affinity compared to populations from more inland regions – which is where the InPe were from most likely. The proper way to go about would have been to get more ancient samples from the Swat region itself – before the purported date of steppe migration and see if the earlier Swat samples have less steppe related ancestry than the new ones. It the same way with modern South Asian groups. The InPe cannot be assumed to be a representative of the enormous genetic diversity the IVC people would have had. But they assume that and argue that their steppe related ancestry is the same as all of the IVC people without having a single IVC sample to test such a hypothesis. Then they take this puny sample of 3 InPe people and compare their steppe related ancestry with the steppe ancestry in modern South Asians from hundreds of different ethnic groups spread across South Asia and argue that since a lot of modern South Asians have more steppe related ancestry than those 3 InPe samples that this is evidence of possible migration in the 2nd millennium BC into South Asia. Does anyone find that argument basen on any sound footing. Absolutely not. Without atleast a few IVC samples from a few different IVC sites you cannot make a meaningful comparison. The InPe are just not good enough. What this paper most definitely establishes is that there was already a steppe related ancestry component already present in South and Central Asia much before any so called Aryan migration of the 2nd millennium BC. So now they are trying to prove a steppe migration by arguing that modern South Asians also have some additional steppe ancestry which only came in the 2nd millennium BC. But to prove that the Steppe related ancestry of InPe is not going to work. Just like modern South Asians, the IVC people would also have had varying levels of Steppe related ancestry. And there is simply no reason to assume that it was only as much as the 3 InPe samples and that there was no additional steppe related ancestry among the IVC people. Summing it up, we cannot prove a steppe migration into South Asia without having a sufficient no of IVC samples from a few different sites. If these IVC samples lack the so-called extra steppe ancestry then we will have to seriously try to consider an Aryan migration. But until then…. let’s be patient. 1. We also see that there is no BMAC ancestry in South Asians. So we asked to believe that the steppe migrants of the 2nd millennium BC only lived on the outskirts of the major Central Asian civilization of BMAC but did not mix with them and then they bypassed these BMAC people to enter South Asia, by some magic, and left a huge impact on all succeeding South Asians. Ofcourse, there is also no such archaeological evidence for such steppe incursion is besides the point. Does such an argument look plausible at all ? The second thing to note is there is also evidence of Out of India migration. Yes Indeed ! While there is no evidence of BMAC migration in South Asia, the BMAC people have about 5 % AASI ancestry which could only have come from South Asia. And moreover what is also most likely is that those migrants from South Asia who contributed this 5 % AASI are themselves unlikely to have had more than 15 to 20 % AASI in their own ancestry. In other words, a fairly substantial percentage of BMAC people – somewhere around 25 to 30 % is likely to have come from South Asia. Comparatively we have limited samples from the Eastern Iranian site of Shahr I Sokhta but nevertheless all the Shahr I Sokhta samples also have AASI. In other words, there is likely a South Asian ancestral input in Eastern Iran as well. So there is no need for Out of India supporters to feel deflated. I think your points are very valid and logical. One addition, this paper is still in preprint and not peer reviewed. More over it is a suggestive study based on limited data as you mentioned. it is definitely not a conclusive study by any means. It is one of the first study which is trying to suggest the movement of people happened from steppes to central Asia, Iran and south Asia using ancient DNA technique. The genetics of south Asia is so diverse that it is not possible to get good resoution with limited samples involved in this study. It is very difficult to get old samples from ancient India and Iran as the departed are cremated in Indian subcontinent and ancient zoorastrians also don’t bury the dead.There are lot of other DNA studies that describe the westward movement of people from steppes to Europe and also from Anatolia to eastern Europe. One correction as I have finished reading this paper there are 65 samples from South Asia mentioned in this paper. the 3 samples from swat valley are from historic times while other 62 samples are from Iron Age. In fig 1 table E the authors mention that 1 sample out of 25 samples from South Asia (InPe) which according to them later became the ancestor of UP Brahmins and Bhumihars is R1a Y Haplogroup. As we know from peer reviewed literature 70% UP Brahmins are R1A z93 along with Punjabis and North Pakistanis ( swat valley). One more interesting observation this paper mentions that Steppe-MLBA cluster is plausible source for the steppe ancestry in South Asia which they say is supported by Y chromosome evidence Haplogroup R1A which is Z93. intersting enough the R1a is missing in samples from Iran Turan, BMAC,Indus valley fringe people but miraculously showed up in UP Brahmins. The authors are jumping to conclusions without enough evidence.Not a good sign. The migration of genes have no correlation with transfer of language and agriculture. Indians speak English a Indo European language but impact of British gene pool on India is minimal. We have enough evidence now that agriculture appeared separately in Levant area at 3 places and this paper also mentions the transfer of agriculture happened from Iran to fringe of Indus valley civilization as a transfer of idea because Anatolian agricultarists genetic imprint on East of Zagros mountains Iran in negligible. Lastly I don’t want to judge the authors of this paper but in fig1 table D the admixture analysis with component maximized in Western siberian_HG, Anatolian Agriculturists, Iranian agriculturists south Asians and WHG are mentioned in footnotes as blue, orange,teal,red and green color but in image yellow color appeared out of nowhere and blue is missing. it is a cliche but too many cooks in kitchen. LOL these Hindutva fanatics don’t know when to jump the already sunken ship of ‘Out of India’ model. Stupid Hindutva fools are hiding the Rakhigarhi results and then have the temerity to complain of a lack of data. Is the Rakhigarhi data published? Let it come to the public domain.But this report is full of lacunae.It would have been a better job had they had included uniform data distribution .What was the hurry ? Initial reports from Rakhigarhi confirm that Inpe samples indeed represents IVC population. Steppe_MLBA is absent in Rakhigarhi samples as reported by a couple of news outlets quoting Dr Niraj Rai who adds that R1a too is missing. So we have 4 samples representative of IVC population, lacking Steppe_MLBA which is ubiquitous is present day South Asia. Narasimhan et al. Says that Steppe_MLBA is missing from areas South of BMAC at least till BC 2100 but shows up in Swat valley around BC 1200. Direction of flow is obvious and the percentage ancestry is skewed towards NW of the subcontinent with a Cline along Hindu caste hierarchy too. Many communities have more than 25 % of Steppe_MLBA according to the Narasimhan et al.’s supplementary material. If it were IVC inhabitants who took their language and Genetics signature to Central Asia and beyond, why is there AASI not present beyond that? Don’t say AASI could be small in IVC population since we have data showing 42% AASI, which is higher than the highest Steppe_MLBA present in current Indian population. •	Indo-European language (earlier called even Indo-German) does not exist. This is SERBIAN language. Aryans were Serbian hunters which believed that they were protected by the god of hunting – Arion. That was the origin of their name. 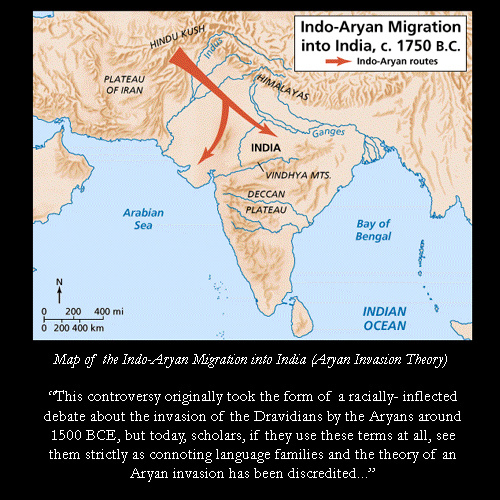 There were three Aryan invasions from Europe to India. First invasion was about 4000 years ago, led by Serbian ruler, Nino Belov, who established the city of Babylon. For reference, have a search on Google ‘Serbian arms Baghdad museum’. His crypt was discovered in Iraq just before US invasion of Iraq. He was mentioned on the first page of Bible as Nimrod. The second Aryan invasion was about 3400 years ago, led also by Serb ruler, Serbo Makaridov. He has built the city of Ninevah (named to honour Nino Belov) was also mentioned in the Bible. The third invasion, although not called Aryans, was conducted by Serbian ruler Alexander (i.e. Lesander) Macedonian (The Great). All of them led many Serbian people during their voyages. In India now, there are hundreds of toponyms which are identical with current toponyms in Serbian lands. There are still some areas and villages in India where people, descendants of Aryans, speak Serbian language. LANGUAGE – I personally know hundreds of Serbian and Sanskrit words which are still identical. Many of them can be found on Internet. Some researchers assert that about 40% of words are identical. Sanskrit is an old Serbian language which is still very similar to modern Serbian language. Names of countries in India’s surroundings (Pakistan, Afghanistan, Kazakhstan, Uzbekistan, Hindustan, Baluchistan, Kurdistan, etc) are of Serbian language origin. STAN is meaning – the place for living. In modern Serbian – Gde STANujes?, means – Where do you live? Some recent DNA researches (Kljosov) confirmed genetic kinship between modern (and ancient) Serbs and Aryan descendants in India. Serbs are European indigenous people, like Australian Aborigines or American Indian tribes. This truth was hidden by powerful forces for centuries but it is coming out in a public before our eyes. Sanskrit is an old Serbian language which is still very similar to modern Serbian language. Out of interest, how would you counter the claim some Indians make that it is Serbian which is a Sanskritic language (than the other way round)? Once it is agreed/understood that Sanskrit has a lot of similarities with a Slavic language like Serbian what is the conspiracy you are referring to? Just curious. I was replying to Todorovic. Serbian alphabet is 6000 years old, the language is much more. The term Slavic was invented in 4th century AD because ‘powerful forces’ wanted to suppress the Serbian name. All other Slavic languages and nations were developed from Serbian (Polish, Checks, Slovak, Russian, Croatian, etc), some of them just 100 years ago. I mentioned three Aryan’s voyages to India, the year, the leader names, etc. I can provide much more information about these voyages. Brahmins took some letters from Serbian alphabet. Descendants are still there in India, Iran and other countries. DNA researches confirmed kinship between Serbian people and these Aryan descendants. I don’t know for any migration from India except Gypsies (I think in 9th century). Those who assert the statement that Sanskrit influenced Serbian language should tell us when were these migration from India to Europe. Who led them? Where their descendants are? DNA researches do not confirm this. And how Sanskrit influenced Serbian languages in such extent and no other languages? To my knowledge there were no any contact with people from India with Serbian people in Europe. There are hundreds of Serbian toponyms in India, I do not know for opposite examples. I must say that Serbian ancient lands include almost the whole Europe from Atlantic till the Black Sea and Baltic, Asia Minor (today’s Turkey, Syria, Greece, northern Africa, Egypt). It used to be a very big and powerful nation represented in several tribes having the common, Serbian language. Brahmins claim they came from North pole. It is possible during ice age humanity was pushed to the North of the globe where human civilization was preserved and spread back once the earth warmed up. Milan, can we connect offline? Very interesting stuff. Who is nimrod in the Mahabharata and 18 Maha puranas?